This is actually the most unbelievable news am hearing this year. You can imagine getting a phone for as low as N1,000. Not just any phone but an android smartphone with a quad core processor, 1 GB RAM and also runs on Android 5.0 lollipop OS. 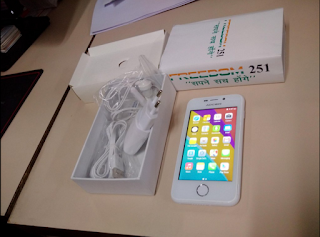 This device is called Freedom 251.Although this device has not been releasee yet, but according to "ringing bell" which happens to be the company manufacturing this phone, you can pre-order from the 17th to 21st of February 2016. But seriously if this happens to be true then many people will be eager to get atleast one of this device also considering the fact that the spec is not really bad. You can check out the full specification below. 8 GB internal memory with SD card slot expandable up to 32GB. 0.3 megapixels front facing camera. Indian Govt. 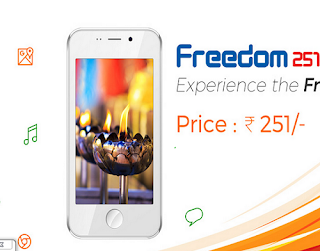 is distributing android phone at this lowest price under the compaign Digital India.